Journalist, MLA (1954-1957), MLA (1958-1959), MLA (1959-1962), MLA (1963-1966), MLA (1966-1969). Born at Lundar on 24 March 1929, son of John Guttormson and Sigridur Johnson, he was educated at Lundar School and United College (Winnipeg). In 1946 he began a career with the Winnipeg Free Press that would ultimately span 45 years. He started as a copy boy and moved on to be a reporter. For over two decades he was also a columnist, covering horse racing at Assiniboia Downs. He received a National Newspaper Award in 1962 for his coverage of the capture of escaped criminal Percy Moggey. Later in his career he became an editor and remained in that position until he retired in 1993. 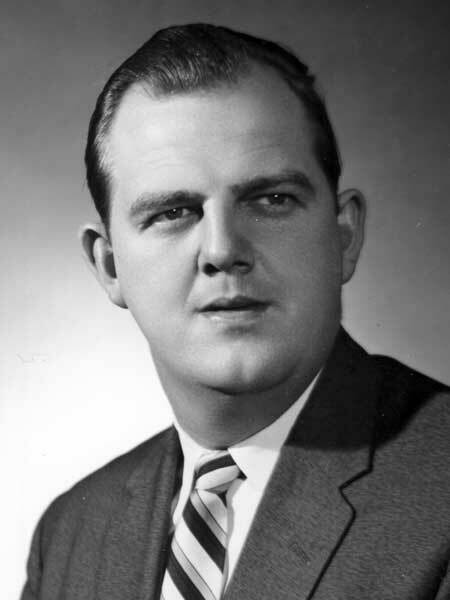 He was first elected to the Manitoba Legislature at a by-election on 3 December 1956, and was re-elected at the general elections of 1958, 1959, 1962, and 1966. He also served as party whip. In the 1969 and 1973 provincial general elections, he was defeated by Bill Uruski. On 19 September 1952 he married Hildur Margaret Thorsteinson (1925-1996), daughter of Thorstein and Svava Thorsteinson of Winnipeg. They had five children: John, Lorraine, Barbara, Susan, and Michael. He was an owner of Major Enterprise, a championship stakeshorse. He was a baseball pitcher for Morse Place and the Elmwood Giants, a curler in the Sportsmans League and in his later years, an avid golfer at the St. Charles Golf Club. He died in Winnipeg on 10 October 2000 after a long illness. Obituary, Winnipeg Free Press, 12 October 2000. We thank Michael Guttormson for providing additional information used here.